the number of waves in its length with an equal degree of accuracy. 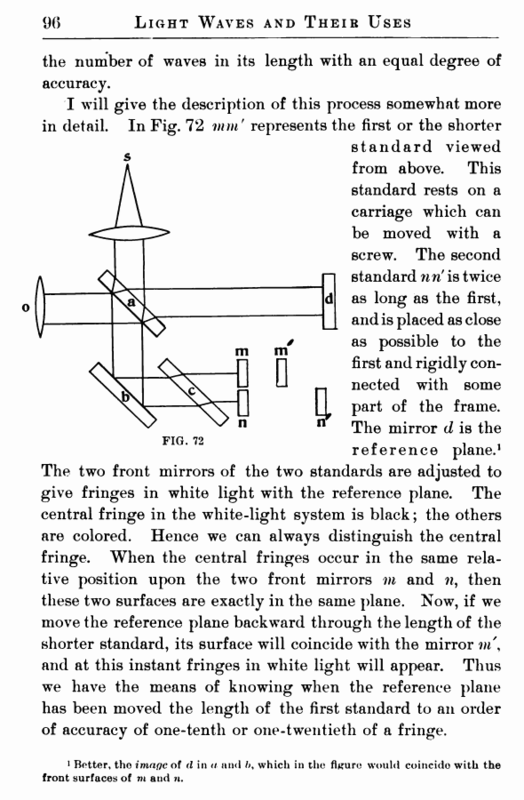 The two front mirrors of the two standards are adjusted to give fringes in white light with the reference plane. The central fringe in the white-light system is black; the others are colored. Hence we can always distinguish the central fringe. When the central fringes occur in the same relative position upon the two front mirrors m and n, then these two surfaces are exactly in the same plane. Now, if we move the reference plane backward through the length of the shorter standard, its surface will coincide with the mirror m\ and at this instant fringes in white light will appear. 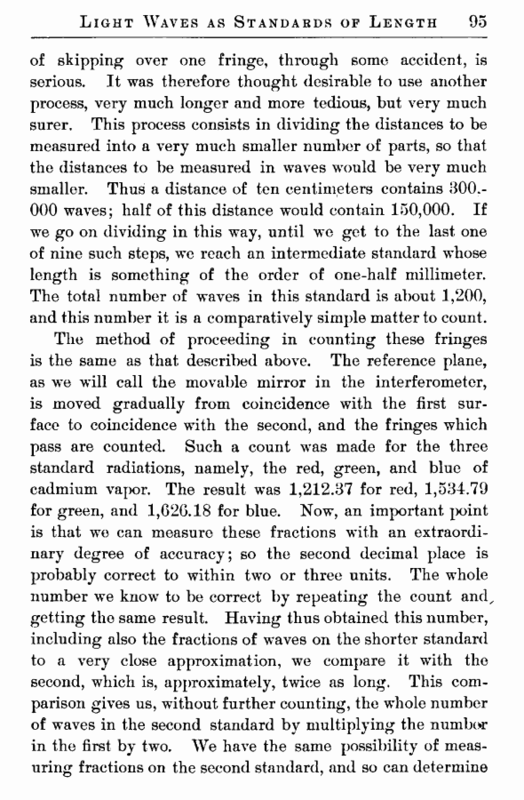 Thus we have the means of knowing when the reference plane has been moved the length of the first standard to an order of accuracy of one-tenth or one-twentieth of a fringe. 1 Better, tho image of d in a and />, which in the figure would coincido with the front surfaces of m and n.